The three-member investigation committee, which was formed to look into the boat capsize in the River Buriganga in Sadarghat, could not submit its findings even in 17 days though it was asked to submit them within three days. On the night of March 7, a small wooden boat carrying seven passengers sank in the river after being hit by a launch ‘MV Suravi-7,’ which resulted in deaths of all. The committee has got time extended from the authority concerned several times. One day after the incident, Bangladesh Inland Water Transport Authority (BIWTA) on the instruction of Shipping Ministry formed the committee with Mohammad Shajahan, director of Conservancy and Pilotage Department, as its head. Other members are Joynal Abedin, joint director of Ports and Traffic Department, and Saiful Islam, joint director of Marine Safety and Traffic Management Department. 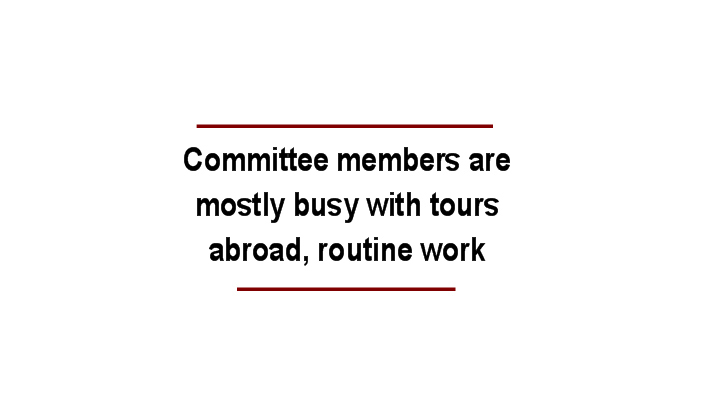 When contacted, head of the team Mohammad Shajahan said, “During the formation of the committee, I was abroad. When I returned to the country, another member of the team Saiful Islam went abroad for official purpose. So, we could not complete the investigation,” he said. He also said that initially they did not find any fault with Suravi-7. Once the probe into the boat capsize is over, everything will be disclosed, he added. On March 7, garment worker Shahjalal along with his family members and relatives was going to Sadarghat by boat. When the boat reached Sadarghat Launch Terminal around 10:00 pm, the MV Suravi-7 hit it, causing the boat to overturn. Bodies of six passengers -- Shahida alias Rashida, her daughter and son -- Meem, 8, and Mahi, 6, Delwar, 35, his wife Jamshida Begum, 30, and their six-month-old son Zunair -- were recovered from the river while seriously injured Shahjalal, who managed to swim ashore, succumbed to his injuries at Dhaka Medical College Hospital on March 11.